Brutal age: Horde Invasion – discard a tribe of cavemen and create an empire on the prehistorical Earth. Hunt wild animals, fight against enemies. 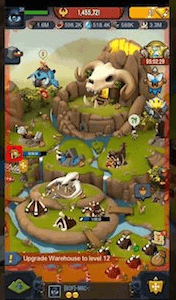 This exciting game for Android and iOS will take you to the stone age that mammoths, saber-tooth tigers and other incredible animals walked around the planet. You can organize hunting and provide your tribe with food. Increase the population of your tribe. Build buildings for different purposes. Attack neighboring tribes and get trophies. Strategy games are not for everyone. However, a game has arrived that opens the doors of this genre even to those who least know this style of play. In the long history of APK games, the strategy genre is one of those that perhaps have no middle ground. Either you love it or you do not see the grace to be sitting hours playing. So brutal age game is one of the best strategy game on internet games community. Horde Guide for Brutal Age Horde Invasion will show you all the essentials for perhaps the most important aspect of this brilliant strategy game for mobile. As in any strategy game with multiplayer, finally, the final aspect and even the most attractive aspect is the theme of the clans, guilds or as in this case: Hordes. Why? If you have ever played Travian, Tribal Wars, Clash of Clans, Mobile Strike, The West … I will not discover anything new but consider that in the long run the collective game, coordination, diplomacy … etc is fundamental. How could you know by the name of the game, the hordes play an important role in Brutal Age. The hordes are like a minimalist version of the guilds in other games; they give you some unique benefits and allow you to interact and organize collaborations with other players from your same horde. However, players belonging to the same horde do not have any type of tie, unlike guildmates, and can freely attack each other. Every so often, a countdown is placed to determine the elites of each horde, which includes the most influential and powerful players of each. Elite positions grant passive bonuses to those belonging to this group, as well as allowing the leader of the horde to give the order to attack specific players. In this sense, the horde system works as an informal group of players who, on occasion, could join to achieve certain objectives. If you do not know Brutal Age Horde Invasion you must see the basic brutal age guide first. The game is described in a clear way by referring to a series of verbs: hunting, harvesting, recruiting and expanding. Various units face powerful mammoth and other animals not as powerful as wild boars. It is clear that it is a good source of food resources necessary for the prosperity of the tribe, but they can also weigh, and much more. With sufficient resources, it will be possible to recruit the best warriors, who will be the basis of security, defense against the Horde Invasion and even the expansion of. We will see troops composed of marauders, war masters, warriors. They are units of another era, of a Brutal Age. We can also join a horde according to our values and loyalties. In the beginning, you will face an important challenge and choose the horde that best suits your game. Then I’ll talk about the benefits, how to get help, how to get more help from horde … etc. The hordes are important because they will give you bonuses that will help you in combat, and not only, also in construction or research. Increase the helping effect of your horde by 30%. You must be inside a clan to benefit you. The transaction tax will be reduced by 30%. Trading comes out cheaper. It allows you to collect resources frequently. The construction time is reduced by 5%. 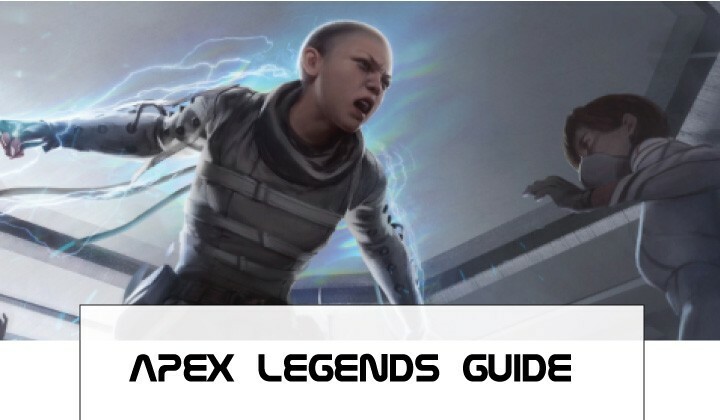 You will have access to a special clans store that allows you to buy items such as advanced teleportation, reinforcements collection, peace shields, defense reinforcement, and accelerations. To join a horde, you must simply touch the horde flag on the bottom right to see the total list. Open clans allow free entry and if you like one, join. A quick way to filter the clans is to see their number. In principle, look for hordes with many members. As mentioned earlier, you can only change hordes by spending at least 14 days in your current group. In this sense, you must choose wisely your horde at the beginning. We recommend selecting between the green horde, or the blue one since you accelerate the construction and progress of your base. However, if you plan to play with a group of friends, you could choose the purple tribe, so that you can support your teammates at all times. Once you have chosen your horde, you will begin to enjoy immediately the benefits that it gives you. Also, depending on the color you have chosen, your priorities will vary. For example, those who have chosen both the red and yellow tribe should focus on creating the largest number of units, and launching attacks against their enemies to loot resources and expand aggressively. However, this style of play is ideal for veterans, or for those who are already well versed in this type of games. On the other hand, those who choose the blue or green hordes can focus on developing their bases and grow their armies without taking risks. How to use the help in a brutal age? The “Help” function is recommended for the construction of buildings that take more than 5 minutes. You will see a greeting icon on a structure that is being updated and then if you touch that icon, the same hand grip will appear on the screen of other members of the horde, which if touched will help you. With this help, the construction time of Brutal Age Horde Invasion buildings will be reduced. And here we see the utility of being in a clan with many members, since the possibilities of getting instant help increase. Unfortunately, the help of the clan does not serve to investigate or to train faster. The hordes that allow you to “Apply” to join are a bit more demanding and your recruitment depends on your power, current level, and other statistics. You can also create your own Brutal Age clan by touching the big “Create” button. You can leave a horde by touching its icon, which is in the lower right corner of the screen. Once you see your clan’s screen, tap the “Manage” button and then press “Exit the Horde.” Keep in mind that you will not get any benefit from the horde. However, you can keep the coins of the clan that you have won so far. At level 1, you can only receive help from a member of the horde, but as you progress, the help count increases by 1. Then, at level 2, two clan members can help you, etc. The more aid you receive from the horde, the faster you can build or improve a building. How to earn clan coins in a brutal age? Clan coins can be used to earn items such as accelerations, teleports, name and avatar changes, pick and attack attacks, peace shields, etc. To get clan coins, just try to help the members of your horde of Brutal Age Horde Invasion. You will find that the help button (handshake icon) appears in the lower right corner of the screen. When you see one, tap to help all the members at once. You will receive horde coins according to the number of members you have helped. The total number of coins you receive can be seen in the Horde Shop. (Touch the icon of your clan in the lower right corner of the screen to access the clan shop). Complete horde missions as it is another way to earn coins. Touch the workshop building and then touch “Clan Quest.” Press the start button to start a search. It may take several minutes to complete one, so be patient or use speed-acceleration elements to decrease the time needed to complete one. Once completed, you will receive experience, resources and clan coins. I hope that with this brutal age guide and secrets, you have been clear everything related to the hordes of Brutal Age Horde Invasion. 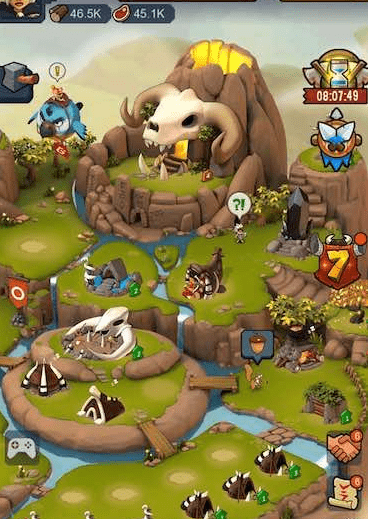 Brutal Age Horde Invasion cheats useful to thrive in this great game of real-time strategy for mobile devices, a genre that never ceases to surprise no matter how many titles such as Tribal Wars 2, and Mobile Strike … etc. Touch the big bird’s balloon to access the events. Then, touch the current event to know its rules since you will only earn points following certain event rules. The more you win, the faster you will reach the goal for the reward. For example: in the Power Up event, you must follow rules such as recruiting, researching and building to gain power. You will get 10 points for every 1 of power you get and -10 for losing power. You lose power in case an enemy invades your position and wins. The Brutal Age Horde Invasion events also provide bonuses. The Power Up event, for example, provides 20% more hunting experience, which will be added as long as the event does not end. You can receive loot (food, wood, etc.) by attacking an enemy outpost. However, sometimes, your troops will come back empty-handed or they can bring back very few resources. This is because the target enemy has protected its resources by building and updating the warehouse. If the amount of resource protection is greater than the total amount of resources produced by your enemy, then your troops will receive no loot. However, your Brutal Age Horde Invasion enemy will lose some power if it fails to defend its base. The rewards are usually wood and food, but there are possibilities of obtaining useful items, such as speed bonuses, the collection of reinforcements, etc. Do not forget to play “Burning Fire” for an additional benefit, such as an increase in attack. You just have to touch that structure and the effect will last for 8 or 9 hours. Easy, right? We hope you like our brutal age guide and strategies. By these tips and secrets, you can easily select the best hordes and win more games.